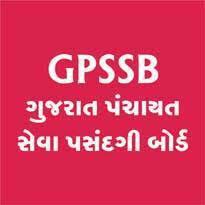 GPSSB Jobs Recruitment Notification 2018.Gujarat Panchayat Service Selection Board (GPSSB) inviting applications for the positions of Expansion officer (Agriculture).Interested and Eligible candidates can apply for the positions. Applicants must be completed bachelor degree in agriculture or horticulture. From the recognized organization/ University. Selected candidates will get pay per Rs.31,340/-. Per month. Applicants may apply the application form through online from 11th September 2018 to 26th September 2018. Application fees for general candidates is Rs.100/-. And SC/ ST is no fees.